Vicon Industries, Inc. (OTCQB: VCON) (“Vicon”), designer and manufacturer of video surveillance and access control software, hardware and components, announced today that its SN673V-B Cruiser PTZ Camera with 20X optical zoom and 1080p HD video has been deployed in Charleston Harbor, South Carolina, as part of the Coastal Conservation League’s novel project, “The Pelicam.” The Pelicam is a weather-resistant Vicon camera, mounted on a pole along with solar panels, battery back-up and a wireless transmission system, on an isolated strip of land within the harbor. Wray Lemke, Founder and Vice President of electronic and security services company Mount Pleasant Radio, volunteered his time to bring this project to fruition. 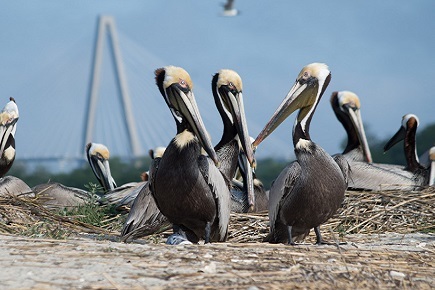 Learn more about the Coastal Conservation League and visit the Pelicam live at https://coastalconservationleague.org/pelicam/. Learn more about this installation on Vicon’s website: http://www.vicon-security.com/pelicam. Visit Mount Pleasant Radio at http://www.mountpleasantradio.com/.